Football Manager studio Sports Interactive has named Matt Carroll as its first COO. Carroll is known primarily for a 17-year stint at Disney in a variety of senior management roles. Reality Gaming Group, the London-based developer behind upcoming AR game Reality Clash has hired Anthony Bray as operations manager. Bray has over 20 years of experience in the games industry, starting at Sony in 1995 as project manager on titles for the PSOne. Steel Media has promoted former deputy editor Ric Cowley to editor of PocketGamer.biz. He initially joined the team as staff writer in 2015. 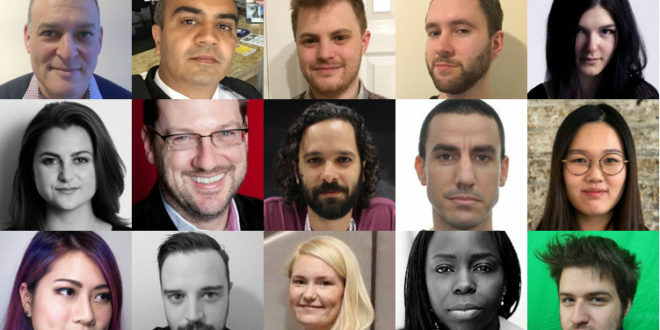 Steel Media also hired two new staff writers: Iain Harris has joined PocketGamer.biz, having worked as a freelancer for PCGamesN and VG247, and Louise Saul will work across all the company’s B2B websites, focusing on PCGamesInsider.biz. As a freelancer, she’s written for Vice, Nintendo Life and MyM Magazine. London-based mobile studio Hutch Games has made three new hires. Evyatar Amitay joins from Improbable as gameplay programmer on an unannounced project. Having worked in the South Korean games industry for six years, Esther Hong joins as UI designer. Last but not least, Chiao-Hsien Lin has been hired as customer and community specialist. She joins from Space Ape Games where she had been localisation, customer and community specialist for almost a year. The BBC’s diversity lead Joyce Adeluwoye-Adams has joined King’s London office as global director of diversity and inclusion. Before joining the BBC, she spent six years as head of diversity at PACT, the UK trade association representing indie feature film, television, digital, children’s and animation media companies.